One of the special features of owning a condo lot at Coyote Creek is that, while you are "getting away from it all", you're also near a community that boasts many of the amenities of a city. There's no time to get bored, because there's so much to see and do in the area. 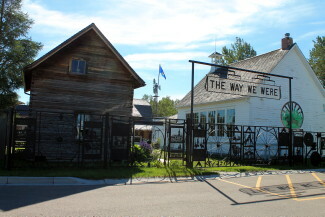 There are about 25km of walking and biking trails in Sundre, some on Snake Hill, and some meander along the banks of the Bearberry Creek and the Red Deer River. 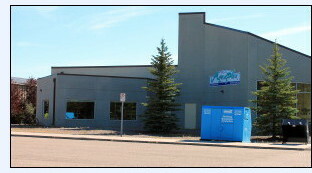 If you want to host a family reunion, the arena and curling rink in Sundre can be rented. The Sundre Farmers Market runs from May to September on Fridays in the Curling Rink (6101 - 2nd Ave NW). The Sundre Aquaplex contains a waterslide, a 25m main pool, and a leisure pool. After your swim you can enjoy the pulsating jets of the 12-person hot tub. It's a great place to have a children's birthday party. 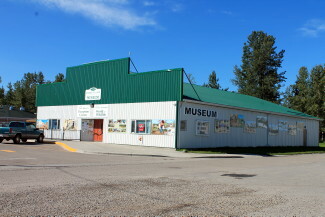 The Sundre & District Pioneer Village Museum is one of the best to be found in any small town, with impressive displays along with attractive grounds and gardens. You can also view more than 150 animal mounts from all continents of the world, displayed with backdrops painted to depict the animals' natural habitat at the Chester Mjolsness World of Wildlife. The proximity to the Red Deer River provides a great opportunity for whitewater rafting, fishing, and the west country is open for horseback riding and hiking. Bergen Rocks - Internationally renowned sculptors gather near the tiny hamlet of Bergen to transform 100,000 lbs. of sandstone and marble into monumental sculptures.